That’s right folks, the weekend is almost here. It’s Thursday but i like to call it “little Friday”. A lot happening in Greenville this weekend. Start you weekend off at Basils for the Wicked Weed tap takeover beginning at 6:30. Be sure to grab an appetizer or two. I would suggest the soon to be extinct Buffalo Chicken Dip Sticks. On Friday, gear up for the parade of pigs at the Annual Purple Pig Skin Pigout. 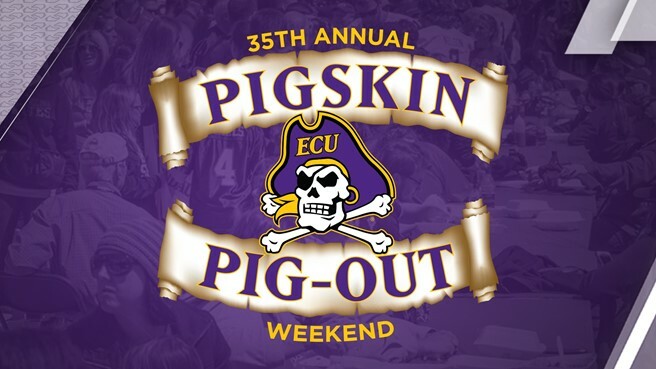 Be sure to buy a plate of BBQ and catch the ECU Pirates Spring game. It will be cold out there so be sure to bundle up. For those of you that rather stay inside and not brave the cold weather, don’t forget the NCAA sweet sixteen games. Maybe someone has a bracket that still has a winner!